Leeks — one of those vegetables you'll see available in groceries year-round, but late winter to early spring is when they shine! They're part of the allium family (garlic, onions, chives, scallions and shallots) but just doesn't seem to carry the same love that its brothers and sisters do. I hope to change that sentiment by bringing leeks center stage in the form of a seasonal gratin. I mean, what could go wrong when you cook vegetables in butter and wine, later to finish with Panko and cheese? 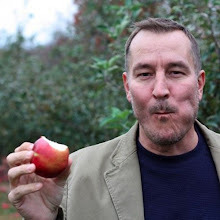 Well, I will let you be the judge and simply say — let's get cooking! 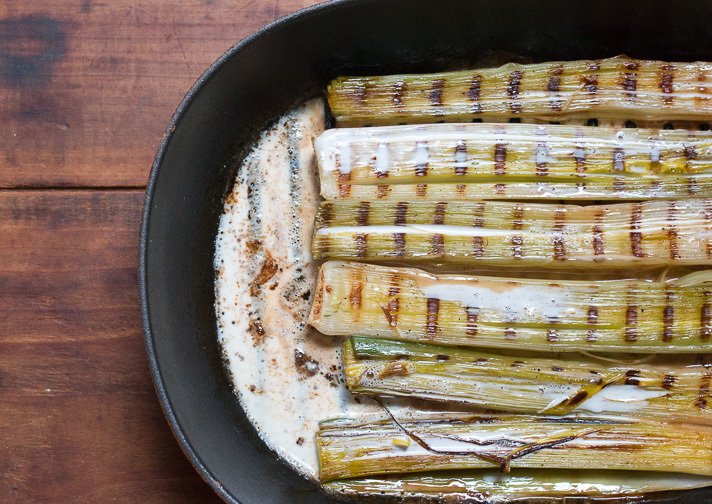 Start by preparing the leeks. Cut a thin round slice out of the root end to keep the inner leaves together. Some of the tough larger green outer leaves will separate, which is fine. Also trim the ends off right where the green parts start to turn white. Discard or compost these leaves. Now, slice lengthwise directly down the middle of the leek, resulting in two halves. Repeat for all three and place halves in cold water, moving them back and forth gently to remove any dirt that may be between the layers. 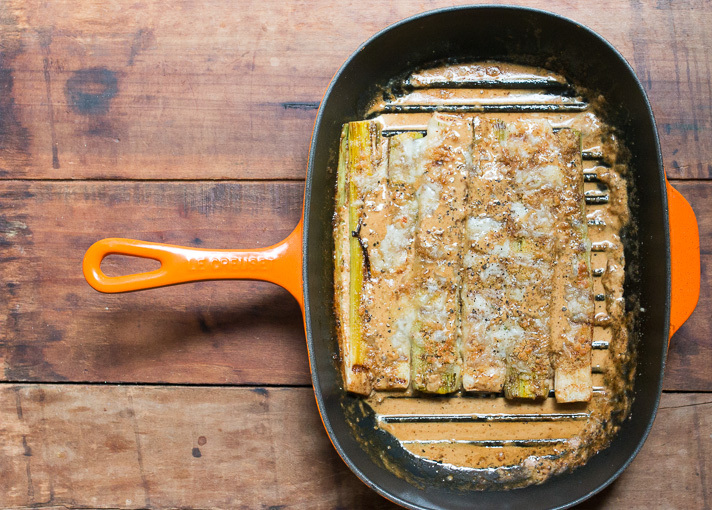 Over the stovetop, melt the butter in an ovenproof pan large enough to accommodate all of the leeks. 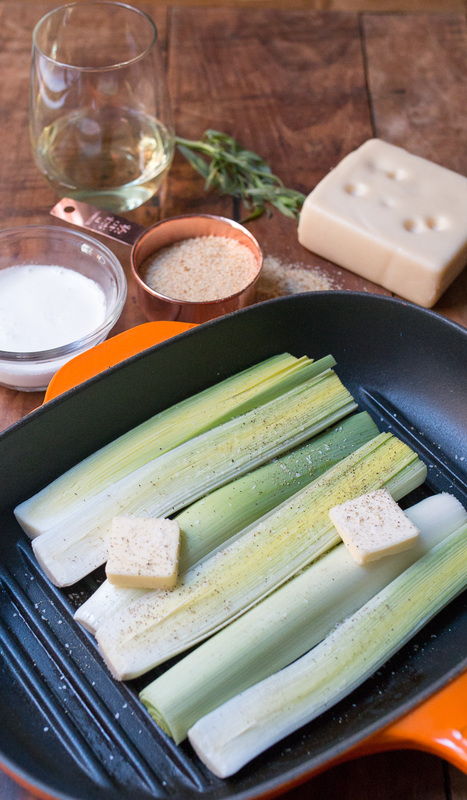 Once the butter is melted add the wine and place the leeks cut-side-down in the pan. Allow them to cook until just browning and the liquid has almost fully evaporated, before they start to caramelize, about 8 minutes. Kitchen tip: I use a heavy bottomed empty pot to gently apply pressure over the leeks to ensure they lay evenly and come in complete contact with the cooking surface. 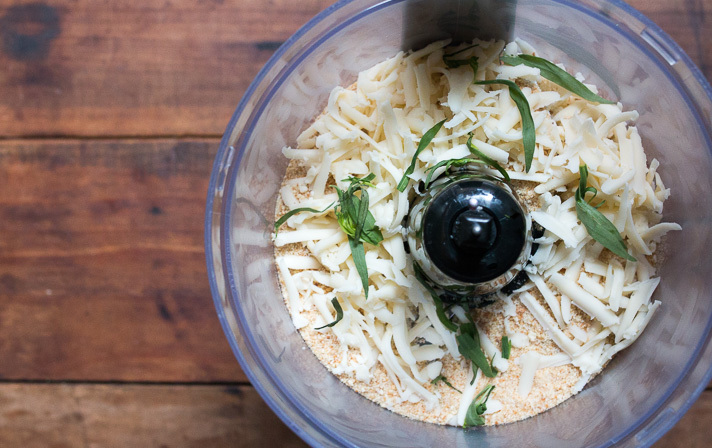 While the leeks are cooking add the Panko bread crumbs, half the Swiss cheese, tarragon, salt and pepper to a food processor and pulse until combined and finely ground. 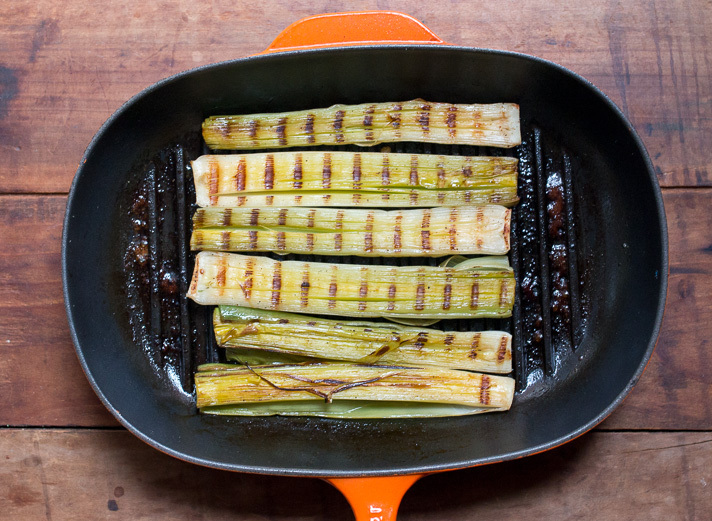 Remove the leeks from heat and flip them so the cut side is up. Pour the cream over the leeks and coat with the panko, cheese and tarragon mixture. 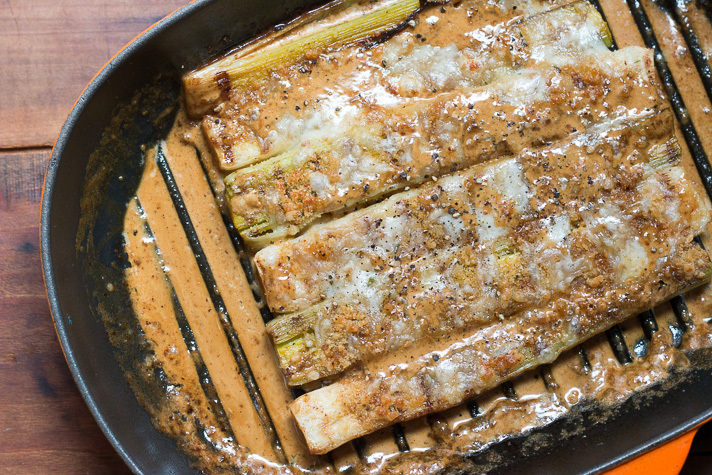 Add the remaining Swiss cheese to the top of the coated leeks and place under a broiler 4- 5 minutes or until the cheese is melted and bubbly. Serve directly from the oven or cool slightly and serve warm. 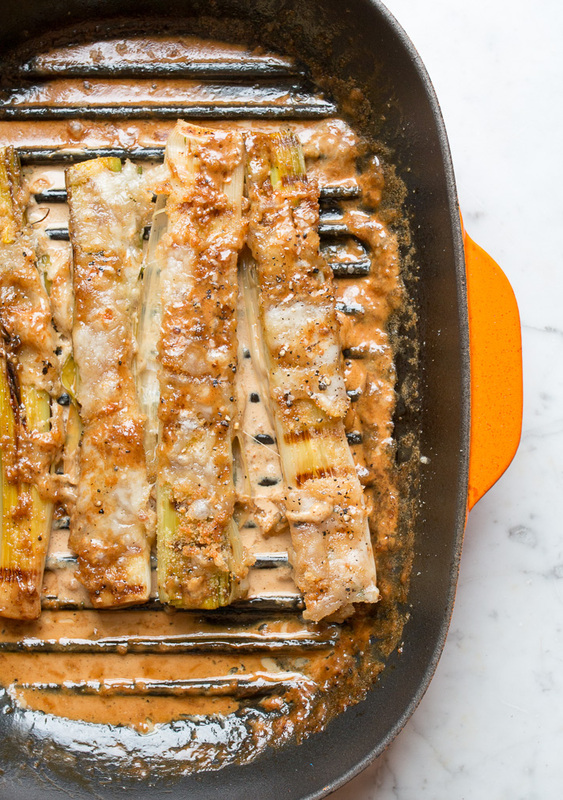 Be sure to take some of the cream sauce and spoon over the leeks. Note — some of the bottom leaves may be a little tougher but cut or scrape the softer leaves with a fork and enjoy!